There are many words which in a general usage have a particular meaning but in the Spiritual context has a different connotation. For example the word surrender is generally used in the context of defeat. In Spirituality, surrender is not being defeated but it is a processes of aligning one’s will with the Higher will. Similarly humility is usually referred in perspective of being meek or submissive, but in the Spiritual context it refers to being devoid of Ego. Humility is one of the higher virtues of Spirituality. Humility is a very important spiritual Principle to imbibe in our lives. It is so important that this Principle is held in very high regard by God Himself. Maharishi Amara was the personification of Humility. His entire life was aligned to the Rishis and God’s work and he was a perfect channel of their Light and Wisdom. On the occasion of Maharshi Amara’s centenary birthday (born 1st Feb, 1919), we publish this article as a tribute to him. We are a Soul. A Soul is a particle of Light that came from the Ocean of Light (God). As the Soul came from God, the Soul is always connected to God and through this connection it can channel the Intelligence and Wisdom from God. But to experience the diversity of the Creation, the Soul had to cover itself with different Koshas. We have a total of five Koshas around us. Each of these Koshas have their own role, will and intelligence. The intelligences of the Koshas do not necessarily function in alignment with that of the Soul. Usually in our daily living, it is this Intelligence that dominates and we operate through it. In a general understanding, the combined intelligence of our Body, Mind and Intellect is known as the Ego. Humility can be defined as the silencing of the Ego to allow the Wisdom and intent of the Soul (and God) to flow through. Being humble is a process of consciously and continuously sublimating the ego to allow the Light and Higher Intelligence to operate. In our Creation, the concepts of the Microcosm hold good even at the level of the Macrocosm as all has been manifested in the image of the Macrocosm. Humility is an aspect that first originated in the Macrocosm before manifesting at the individual level. The concept of humility originated from Devi Loka. From ParaBrahma, Devi Loka manifested. God allowed his manifestation to have its own Intelligence and free will. When ParaBrahama wanted to manifest further from Devi Loka, Devi had to allow the intent of ParaBrahama and become a channel, even though She was instrumental in creating the other Divine Lokas. This gave rise to the concept of keeping the individual Intelligence aside and allowing that of God’s to flow through, which we refer to as humility. Humility was the tool and gateway through which God could pass on many things to His manifestation without any obstructions or dilution. Similar to Humility, the concepts of Surrender and Grounding also arise from Devi Loka and these three concepts are interconnected. Humility is the silencing of one’s intelligence to allow the Higher Intelligence to flow through. Surrender is the process of aligning the individual will to that of the Divine Will. Grounding is the process of keeping the ego in check and strengthening the fundamentals of Spirituality. The Vignanamaya Kosha (Intellect) is the carrier of the energies of these aspects as we obtain the Kosha from Devi Loka. Similarly, all Light and energies from Devi Loka carry an abundance of these three characteristics. As the Creation progressed, it was observed that the energies of humility were struggling to penetrate fully into the Material Cosmos (Brahmanda). On observing this, Lord Brahma added his energies to it. 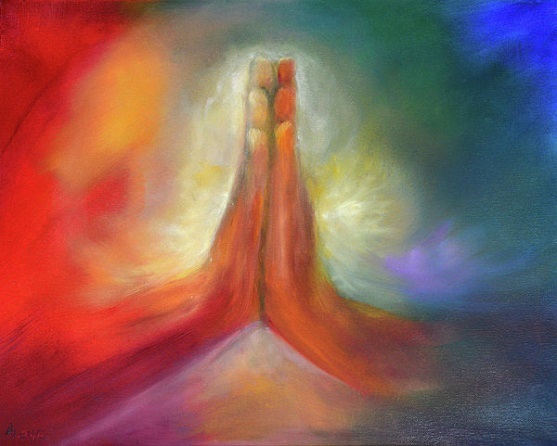 After this process, the energies of humility could penetrate to all parts of the Creation. Even after this, for various reasons this was not functioning very efficiently and remained so for a long time. Maharshi Amara is credited with identifying this phenomena. He did a lot of research, and Tapas to understand this concept (It happened millions of years ago). He then worked on it and it was due to his brilliant effort and later assistance of Vasistha Maharshi that shaped humility in the Manifestation of ParaBrahma. The energies of humility that we can experience contain about 80% energies from Adi Shakti and about 20% from Lord Brahma. Humility is woven right into the fabric of our Creation. Humility establishes an eternal connection between the Divine and His Manifestation. It also creates a Divine link between God and the individual. Humility is the tool through which God could pass on many things to His Creation without distortion. The energies of humility have a special radiance. It is not like that of Light but different. Humility is one of the most important spiritual values to be cultivated. Strangely enough, it is not necessary for an individual to be humble. In our Creation freewill exists and because of this, we have the right to exercise “Our will” anytime, as long as we do not break the Divine laws. More frequently than not, while using our free will, we land up breaking the karmic laws as we haven’t grown Spiritually to be aware of all the laws. Being in alignment with our Soul and God is the easiest way to grow and path of least resistance. Being humble has its own benefits and helps immensely in our Spiritual growth. Humility enables various spiritual qualities like Oneness, Peace and Bliss. Being humble also helps us to connect to God and understand more about the Creation and the Purpose, and also experience. In our daily life, Humility gives rise to immense Patience. It also enables us to be detached from the results. Humility also help us to be more compassionate. Humility has the rare power and strength to unite two extremes into a unified pattern. It also enable us to live in this Plane of duality with ease and acceptance. Humility has the capacity to solve many complex issues. In certain circumstances, it can even solve issues which Love cannot. Being humble helps us to be continuously connected to Light and getting recharged. The Creation is constantly changing. Being in the constant link of God helps us to tune into these changes, align ourselves and move along with them. Humility does not lead to Mukti directly. Being humble helps establish many of the Spiritual values and Divine qualities within which subsequently aid Mukti. As we grow Spiritually, being humble is the main way through which one can operate from the level of the Soul, while living in a body. By continuously incorporating humility one can connect to the Divine as much as possible. Then with training and perseverance, one can start operating and working from the level of the Soul. Humility is not subject to restrictions and limitations. Humility is the process of allowing the Divine Intention to flow through. If the Divine wishes and we are humble, external factors do not interfere or restrict the flow. Amidst all these qualities, oddly humility and Love are not connected. For establishing Love within, we have to work separately. Humility is a special Spiritual Virtue and influences various aspects of our life. The attributes like Surrender arise because of humility. One’s capacity for hard work with perseverance and the ability to unify our thought process with that of the Divine is possible only with humility. Humility helps the individual be very organised, systematic and methodical with the work they execute and in their personal life too. The intelligence of the Soul can be brought out mainly through humility. Humility also helps add “silence” in our life and which will further multiply into Peace and Bliss. It is easier to experience Oneness with God when you are humble. The individual is already aligned with God and resonates with those vibrations. Experiencing is the next step. The intelligence of humility is very unique and will guide the individual when required. As we keep experiencing this and specialising in this aspect, the Intelligence of the Divine also keeps getting added within, which is very difficult to attain otherwise. In a larger picture, humility is the channel through which pure and undistorted energies and Light can flow into Creation. It is because of humility that the Divine has been able to reach many rigid and tough places and bring about beautiful changes. The energies of Humility also can help to repair various issues in Manifestation and restore Purity. As mentioned earlier, humility is not subject to restrictions and limitations. Most of the spiritual properties like healing are absent in the 14th Plane of our Cosmos (Patala). It is the capacity of humility that enables the Beings of that Plane to receive some quantities of nurturing and healing and a few other good qualities. Much of the higher aspects of Humility are applicable while working for God. It is not easy working for God and continuous hard work is required. It is first a process of removing one’s ideas and ways and allowing that of God to flow. Then comes the execution of the work. This process involves the individual overcoming various obstacles of their own ego and humility is the way. Humility enables the person to blend well into the environment that they are working in, which could range from complete darkness to Light. Humility also helps the individual to remain focused and not deviate from the purpose of their mission. Humility is required to execute work in a balanced way. This includes taking various aspects, laws, and rules into consideration. Our Silver Cord has many special faculties. Being absolutely humble helps to access, activate and operate these faculties. There are certain occasions when the Rishi workers have to alter their DNA for work reasons. This can be done through the energies of humility. Strangely the dark forces do not like the concepts of humility and surrender. This helps Humility acts as a shield from unwanted energies and Beings which hinder the work. The energies of humility also contain rare healing powers for the four Koshas, and they have a lasting permanent effect. Presently, research is going on by the Rishis on this aspect. There are instances where different works are carried out after a person teleports or multiplies their body. The effects of such works are not very long lasting. It is only when the energies of humility are added that they can sustain and remain active for a long time. Maharshi Amara mentions that from the level of his Soul itself, a sense of service has been deeply stitched into him. From the beginning of his creation, he has been working for God and his Manifestation. On his experiments with different aspects of Spirituality, he took the attribute of humility as his route for Spiritual growth. He discovered that he was able to hold and contain a lot of Divine energies within him, especially that of Goddess Adi Shakti, and could also perform his duties and missions with better ease. Maharishi Amara says that Humility sums up the very nature of God and His Creation. From God, various diverse aspects have manifested and all have occurred in the intent of God. The diversity in Manifestation could occur as His intent was allowed at various levels of Creation. He says that being humble helped him connect to God better. This further helped him to shape his thinking and behaviour, and also improve his ways of working for God with better efficiency. He says that humility helped him to surrender better and be of more service. He acknowledges that humility is an aspect that is tough to attain and also maintain, as it requires continuous surrender and trusting of God. He mentions that Humility may be a tough aspect to incorporate, but the path of Humility is one of the easiest ways through which we can understand and experience the finer aspects and qualities of the Divine. He mentions that right from when he was created, he could connect to the surrendered nature of the Manifestation with God, and this helped him experience the omnipresent nature of God. In context of being of service and a part of God’s work, he says that being humble means focusing on the work. True humility is focusing on the purpose and the mission and it is not for gaining recognition or fame. It is unconditionally continuing with responsibility accepted and aligning oneself with God. People may recognize the accomplishments but wanting any appreciation, or pointless talk about the work will only hinder and limit oneself from performing the service. Being humble, is being a perfect channel. It is allowing the Divine to work through you. He enjoys doing his work of God by adopting humility as they have to be done silently. He says that working silently helps him execute thrice the quantity of work that otherwise would be executed. Being humble always is difficult. It requires a lot of hard work to maintain it and only with long practice does it become your second nature. In this process, we also go through various tough phases, especially that of self-doubt, and then the inability to distinguish between the voice of the ego and that of the Soul. Living in a society in midst of people and this complex world, we are influenced by our surrounding and other individuals. It takes a massive effort on our part to be untouched by these and in stay in alignment with the Divine Will always. The practice of humility take a lot of patience and perseverance. Silencing our Ego takes immense efforts and it will also take time to actually witness the results of our practice. In spite of these challenges, it is possible to attain the higher states of humility. Following is a technique that will connect us with the energies of humility and absorb it in our system. The following technique helps us to connect better with the energies of Humility and hastens our connection to the aspect. With conscious efforts, we begin to manifest more humility in our lives. There is no particular direction or time duration to follow for this technique. Ideally practice it indoors. Begin with 12 rounds of Pranayama with Green Light. Then imagine Green Light coming from Goddess Adi Shakti and imagine it to fill all your Koshas one by one. Then consciously experience it in your physical body and send the Light to all your actions. Imagine the Light to radiate and shine in you. Keep experiencing this and repeat the mantra “Om Namrathaya Namo Namaha” silently. Note – after a few months of regular practice, you can change the dharana of the technique to Orange Light from Green Light. What a wonderful post, so sublime. Kind of melting oneself in the wisdom of this post on Humility! Thank you for sharing this with us all. An excellent article on humility. Rishi Amara is the pinnacle of humility. I am deeply grateful to Rishi Amara who selflessly untiringly works for upliftment of humanity from time immemorial.